Ish Debashish Lyrics In Bengali. The Song Is Sung by Anupam Roy Featuring: Joey Debroy. 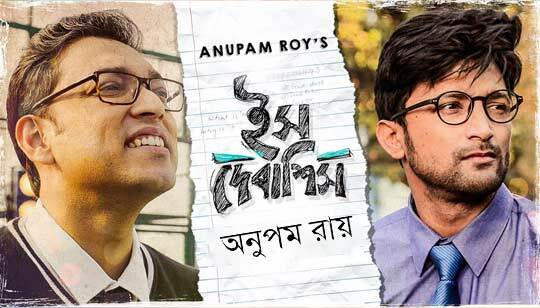 Ish Debasish Bengali Song Lyrics written by Anupam Roy Bangla Song 2019. Video Song Director and Executive Produced by Neelabjo Chatterjee. Mixed and Mastered by Shomi Chatterjee. DoP by Tuhin and Bikash Chakraborty. Creative Producer and Director's Assistant by Anusuya Mitra. জীবন দিয়ে যায় না নোটিশ ..
দেবাশিষ তুমি তারাদের পাহারা দাও ..
রোজ রাতে নেশা তুর চোখে ফিরতে চাও ..
দেবাশীষ তুমি সব কিছু গিলে ফেলে ..
দেরি হয়ে গেলো দোটানা হায় । ..